Vulnerability in E-Business Suite R12 requires non-default diagnostics mode so Low risk. Having said that it is worth keeping an eye on Internet facing Oracle applications, though there is not a huge amount on this from O’Reilly and Apress. 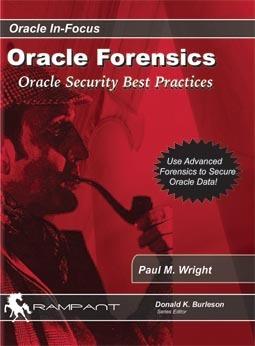 Google books has a relevant book free of charge named “Security, Audit and Control Features Oracle E-Business Suite” http://books.google.co.uk/books?id=JWrCxjgsfHcC&printsec=frontcover#v=onepage&q=&f=false. The main book for E-Business Suite security is John Abel’s though that is based on 11i of course. Steven Chan’s blog is a good read for Oracle Apps security as well. Other recent related reading has included http://www.databasesecurity.com/ExploitingPLSQLinOracle11g.pdf . This paper confirms the importance of firewall egress in Oracle Three Tier environments. So for instance commands like this should be prevented from exfiltrating data out of the firewall. The executing account only needs SELECT ANY DICTIONARY, because DBMS_LDAP is publicly executable. lack of correct privilege for instance. A way to test this rule works is as follows. This will trigger the second rule to alert but not the first. Using the above method we can fix security issues with low risk of affecting the application’s functionality. Real time Application Monitoring is an important part of the SDLC in mature applications, along with Static code analysis and Dynamic application testing. More on this at the upcoming ISSD Conference.